Russia is a big country, the largest in the world in fact, in terms of land area. There is a region called Siberia, also known as the tundra, where the landscape is barren and frozen most of the year. This could be fitting since January of 2013 so far is shaping up to be one of the coldest ever in Boise, Idaho. 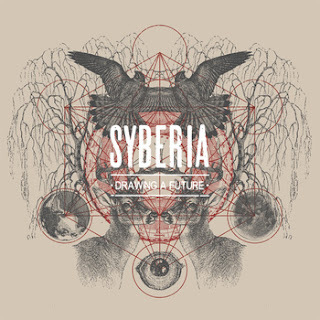 I have recently discovered a band called Syberia. This band is from Barcelona, Spain. They play an interesting style of music that little resembles stereotypical Spanish music. The sound they employ is a monstrous instrumental rock which uses various time signatures with metallic riffing and huge post-rock styled guitar leads that swoop and swirl to create a massive aura of atmosphere. "Drawing a Future" is their latest effort, released in 2012. This album is just the right length for an entirely instrumental piece, never overstaying its welcome or repeating aspects of the style too often. Contrary to the band's name, the musical style is warm hard rock instrumentation with atypical drum patterns, juxtaposed with chilly screeches of guitar-led atmosphere that carries the album. For a new and little-known artist, the production quality is spectacular and helps to maintain the grandeur of the music as a whole. Fans of a variety of musical genres can find something good to listen to in this music. If you like post rock, this album delivers. If you like instrumental or experimental rock, chances are you will dig this. If you are a metalhead, you'll find plenty of head-bangable moments littered throughout this album. 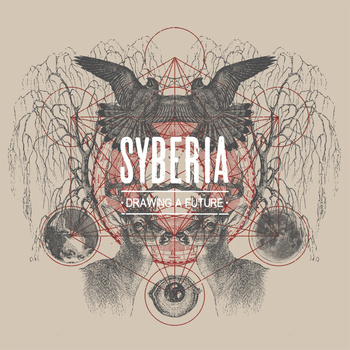 This review has been brief, but sometimes the music just has to speak for itself, because in the end, no amount of raving on my part will come close to providing the enjoyment of listening pleasure that Syberia brings. This is a diverse and explosive listen and one that demands attention.